POEM BY BRIONNA WIGGINS. PHOTOS BY BETTMANN/CORBIS. FNN CELEBRATES BLACK HISTORY: FEB. 18, 2014. Our ancestors were chained. Their spirits held captive. Yet they continued, and continued to dream of freedom. But once they were free, they really weren’t. 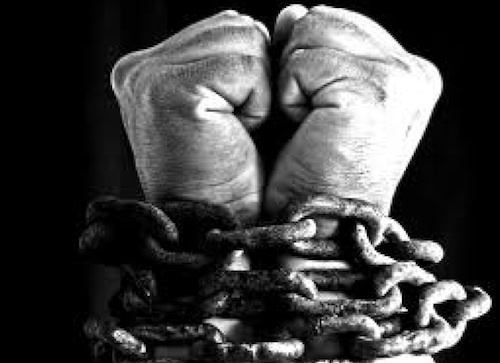 Manacles of segregation and chains of discrimination. they fought for the American promise that guaranteed the unalienable rights of life. It would give them their liberty to be able to pursue happiness. Justice for all God’s children! Comfort in the outstretched arms of our brothers and in the hands of our sisters. Together, out of the “dark desolate valley of segregation” towards the sunlit path. They would not be satisfied until the future was better for them. Better for their children and grandchildren. They were not satisfied with the brutality they were shown. They were not satisfied until the thirst for freedom was quenched, and they could rejoice! The suffering ended finally, everyone united at last. Their dreams came true. Democracy and freedom, now theirs to claim. sacrificed their lives, who were denied their rights, and then pursued their freedom. Because of them all, we have a better life. Brionna Wiggins is a 7th grade scholar at Friendship Woodridge Academy.